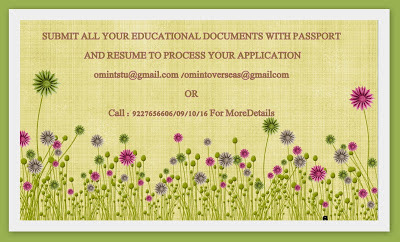 OM VISA Consultancy - Global Immigration, Students, Visitor, Business & Work VISA Consultants: Study at southern Cross University Australia !!! Study at southern Cross University Australia !!! “Southern Cross University” is a progressive, young and connected regional research university, with vibrant campuses in Melbourne, Sydney and Gold Coast. It is ranked in the Asia-Pacific's top 100 universities. Southern Cross University's fastest-growing campus is uniquely located at the Gold Coast Airport in southern Queensland. Gap Year : More than three months Gap should be explained with supporting Documents. In case of work experience - Provide salary account statement, salary slips of last 3-6 months, appointment / Experience letter, ITR’s or Form 16 along with the computation sheets would be required. Note – Child cases will b acceptable only if the age of the child is less than 5 years.